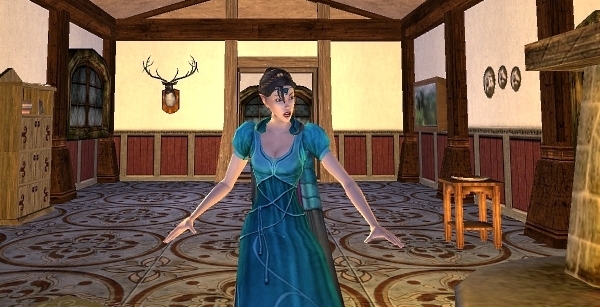 Windy Acres Ranch | Equestrian and roleplay events on Landroval in Lord of the Rings Online. Here is the schedule for this year’s Spring Racing Carnival. All times are EDT (New York, USA) and Landroval /servertime. 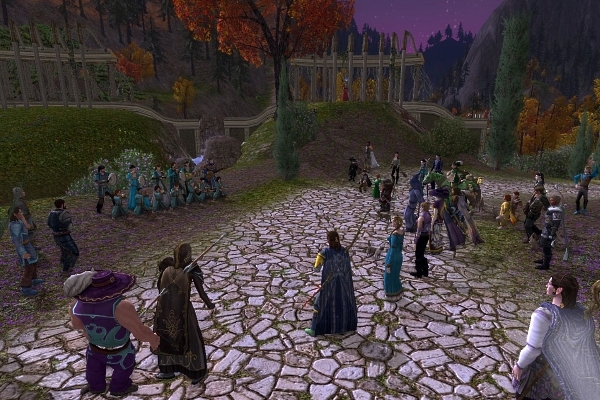 The 2015 Rivendell Run took place on a clear day in Imladris at the Last Homely House of Elrond. Bright Star provided music and drew a large crowd of enthusiastic dancers. Word had spread across Eriador that only the fastest horses would be allowed to compete for favor of the Valar, gold and fame. Join us for the Rivendell Run war steed race this Wednesday, September 2nd at 9:00pm EDT/servertime. Challenge yourself against a race course featured in the 2015 Spring Racing Carnival! Meet outside the Last Homely House. Music will be provided by Bright Star. The first place rider wins 1,000 Turbine Points, second place wins 500 TP, and third place wins 10 gold. Looking for more horse racing fun? Check out the fourth annual Harnkegger Games on Laurelin, running from Monday, August 31st until Sunday, September 6th. 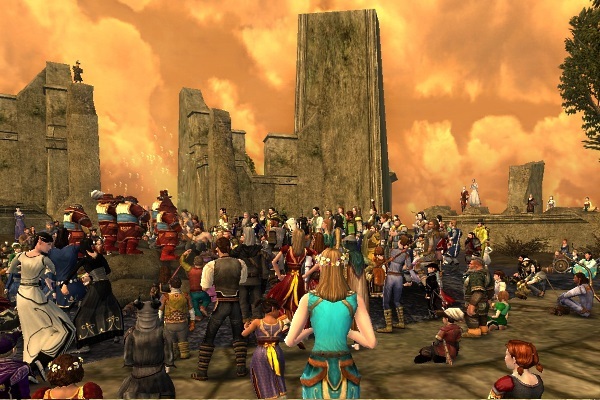 Known for its various gaming contests, general merriment and consumption of rather large amounts of ale, this festival of Dwarvish origin, is often nicknamed the Deep Ale Fest. As ever the fest and games will be opened to all, be it dwarves, hobbits, men or yes… even elves. This year the Games will be bigger than ever before, with 15 full-scale events spread over 7 days… and the largest hoard of prizes ever seen in Middle-Earth! Both of the horse races are scheduled for the first day. Meet at Windy Acres Ranch, 9 Chestnut Street, Raglan, Bree-land homesteads. Solve a mystery, roleplay, bid on auctions, and enjoy fine music! The biggest musical event of 2015, Weatherstock 7, is now in the history books. This year, the crowd enjoyed performances by The Runic Knights Orchestra, Les Chantefables, A Rock And A Hard Place, Under The Sunlit Sky, Starlight, The Remediators, Die Bunten Vogel, Die Meisterbarden Von Bree, Da Buggins, and The Rolling Kegs. These ten bands competed to earn the audience votes for the “People’s Choice Award”.